The Stop Falling: Start Saving Lives and Money campaign was launched by Age UK in November 2010. 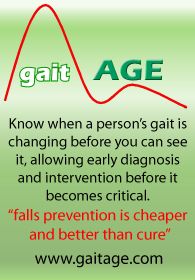 The campaign aims to reduce the number of people in later life from suffering falls and ultimately save lives. We believe that all those responsible should work together to improve access to falls prevention services for all people in later life that are at risk of falling. Falls prevention services to be prioritised by all those responsible including the Department of Health, general practitioners, primary care trusts and local authorities. Evidence-based exercise programmes to be made available to all older people who are at risk of falling. Health services to identify and refer older people at risk of falling to falls prevention services. To kick start the campaign AgeUK has invited Andrew Lansley MP, Health Secretary, to visit the Cambridge City Falls Exercise Pathway in his constituency to see firsthand how his constituents benefit from an excellent service. Unfortunately such a service is not the norm across England. Indeed, the results of the National Audit of Falls and Bone Health in Older People showed wide variation in the quality of services for falls and fractures. Age UK’s new campaign aims to highlight the need for falls prevention services for older people and redress this variation. We are encouraging our supporters to contact their local MP to request that they become a ‘Falls Champion’ for their local area to raise the issue of falls with Local Authority and local NHS commissioners. It is important that all MPs support the campaign to make sure local decision makers fund falls prevention services. At a time when public services are suffering funding cuts, it's really important that local falls prevention services are protected. We would like to showcase excellent falls prevention services. Tell us about your service. We would also like your help to find people in later life who are willing to share their experiences of suffering a fall. Please contact Claire.Francis@ageuk.org.uk or +44 (0)208 765 7624 to pass on information or for more details on the campaign. 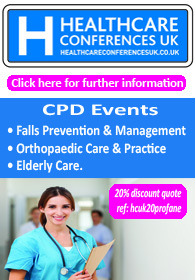 Next post: Perceptions of health professionals about effective practice in falls prevention.